Question: What are the basic warnings for someone who is determined to try ayahuasca for themselves? Vincent: It’s complicated . . .
Jeremy: The first warning is to say that it is like going off to sea by yourself--and you do not know how to sail. So you must be prepared before leaving port alone on your sailboat. In my opinion, it’s worth the trouble of spending the most time possible in the library; or, if you do not like to read, speaking with people who have had this experience and learning as much as possible. Jan: That’s a good example, since you are making metaphors. If you are leaving on a boat for the open sea, you prepare yourself. And you find a good skipper--because you can read all the sailing manuals you want, but you will still never be a skipper. Prepare yourself: What are you going to run in to on a sailboat? It is good to have book knowledge, to know you have to stoop down when the boom passes, to know how to change course. It is good to know the dangers, to know you need to wear a life vest all the time, because it is possible to fall into the water at any time. But you are going to find yourself going through states of solitude--fear during the storm--and for this you cannot prepare yourself by reading books. So, look for practices available in our world, our society, which will allow you to prepare yourself. For example, try Vipassana meditation.I have never done it but it is something that seems interesting to me (maybe I’m fooling myself, in which case I would like your reaction). Hike in the mountains by yourself in the rain for two hours; go look for things that are a little intense, and that put you on unfamiliar ground. Work on yourself, on your body. Also ask yourself questions. For example, often you are going to get caught up in the truth of the relationships you have with others. Or, for a couple, you are going to scrutinize to see if you have unfinished business, because things are going to come up and hit you in the face real hard. So examine this. Not necessarily with a therapist, but observe where you are at in your life. What are your intentions, your goals? Might you have betrayed things you believed in strongly during crucial ages and which left a deep impression? You need to make a wide circuit like this inside, emotionally. And then the final thing--and here I concur with Vincent, but I would replace the word distrust with vigilance. You must be extremely vigilant about where you take ayahuasca, with whom you take it, how you are going to take it. And even if everything goes very well, you must maintain this vigilance when returning from your altered state by contemplating the way you are going to think about your experience. Vincent: I think that working on yourself is extremely important when taking plants like ayahuasca. There is actually a purgative aspect at the beginning, a physical and mental purge. It is a good thing if a person has already begun working on his psychological system but also on his body, for example having fasted, followed a diet, or having exercised or played sports. All the toxins that we collect during our everyday life are the first things that ayahuasca will attack. So it is not a bad idea to fast or follow cleansing diets based on herbal teas or vegetable soups--the standard detoxification techniques. It is also advisable to work on one’s psychological system because right at the beginning, all of your primary mental layers will be resonating. If you are already clear with yourself, I think you will be one step ahead in the work that the plant is going to perform. Jan: Someone told me, “If you haven’t dieted--in other words eliminated from your diet shortly beforehand, meat, alcohol, not to mention other toxic substances--if you haven’t established some kind of hygiene in your body’s physical functioning, you might end up taking a super negative trip. You might have the impression of being eaten alive by giant tarantulas, whereas, in fact it is perhaps only the ayahuasca encountering the remains of the pork chops still in your intestines and you are the physical witness of this battle. You can cross through this state, but the more you cleanse, the greater your ability to attain deeper states. Several people who took ayahuasca for the first time were nailed to the ground, lying all night with physical pains. And then, boom! The second or third day, very beautiful visions and a sense of well being came over them. But first, there are corporeal, organic things that need to be cleared, before seeing the essential. You have to take out the shovel. This takes place through evacuation . . . You have to prepare yourself, even if just a little. There is no need to leave for a monastery for three months. Vincent: Please excuse me; I am sort of being like the guy who keeps coming back to the same thing, but it seems to me that this is a very important experience and should not be taken lightly. I say this, and at the same time there can be different cases because there are people who can find themselves in an experience like this for entirely circumstantial reasons, which could be simply a meeting with their destiny. Jeremy Narby is an anthropologist best known for his books The Cosmic Serpent and Intelligence in Nature. Filmmaker Jan Kounen has created a number of films and documentaries, including the celebrated Blueberry, released in the United States as Renegades. Vincent Ravalec is the screenwriter, producer, and director of numerous films as well as the author of many books in French. "This book will be valuable to professionals counseling young people and to those working with 12-Step programs and rehab facilities. Salespeople should understand what it is about so that it does not get passed over as being sensational and exotic." 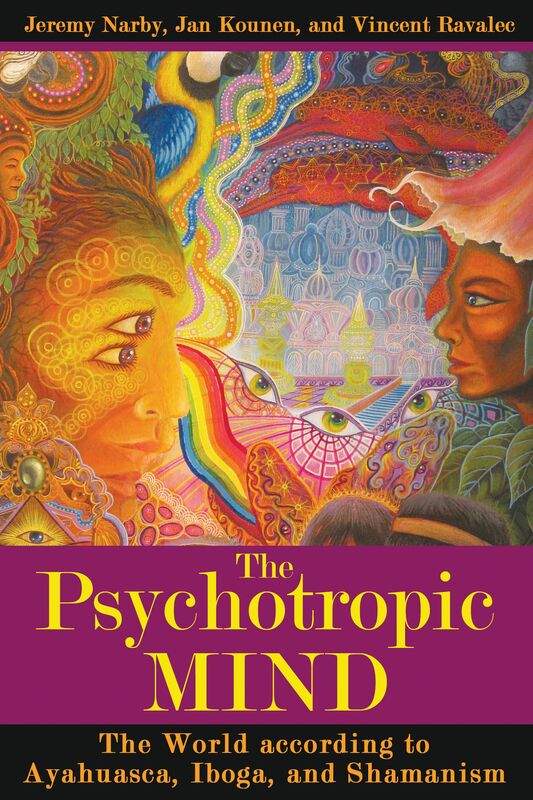 "Since the 1950s there has been considerable interest in the use of natural hallucinogens by indigenous people as part of their spiritual beliefs. . . . the conversation that is recorded does offer some insights into this strange world."